women writers | Oh, for the HOOK of a BOOK! I’m continuing on today in my series for National Poetry Month (April) with some three wonderful poems, two of them never before published, from the amazing poet Linda D. Addison! Linda D. Addison is the award-winning author of four collections, the first African-American to receive the Horror Writers Association (HWA) Bram Stoker Award®, and recipient of the 2018 HWA Lifetime Achievement Award. I’m quite honored that she agreed to be part of this series and thrilled she’s offered two unpublished poems for release here at Oh, for the Hook of a Book! Not only talented, she’s always a bright light with an enormous smile and a kind word for all. The first poem was nominated for a 2018 Rhysling Award and was published as the Afterword in the HWA Bram Stoker finalist Sycorax’s Daughters anthology of horror fiction/poetry by African-American women. born from uterus: bruised, abused, loved, rejected. giving birth even while silently weeping blood. our children: unborn, reborn in mourning. to use the growing Shadows for transformation. just surrendering to a cliff’s edge. rising from ashes, rebuilt from courage. This next one is a funky poem about writing. It’s published here for the first time! This third poem was inspired by the movie “Life of Pi” and Linda changing everything in her life by moving from NYC to Tucson AZ. We are very lucky to publish it first here. I am stranded in between. “I am your vessel,” I say. And yet fear keeps me alive. “Why are you scaring me, God. We are tossed by Your storm. my life, to revive it. I lean the beast’s head on my lap. And now more about Linda and her latest project…. Thought-provoking, powerful, and revealing, this anthology is composed of 28 dark stories and 14 poems written by African-American women writers. The tales of what scares, threatens, and shocks them will enlighten and entertain readers. The works delve into demons and shape-shifters from “How to Speak to the Bogeyman” and “Tree of the Forest Seven Bells Turns the World Round Midnight” to far future offerings such as “The Malady of Need”. These pieces cover vampires, ghosts, and mermaids, as well as the unexpected price paid by women struggling for freedom and validation in the past. Linda D. Addison is the award-winning author of four collections, the first African-American to receive the HWA Bram Stoker Award®, and recipient of the 2018 HWA Lifetime Achievement Award. She has published over 300 poems, stories and articles and is a member of CITH, HWA, SFWA and SFPA. Addison is one of the editors of Sycorax’s Daughters (Cedar Grove Publishing), a Bram Stoker finalist anthology of horror by African-American women. Catch her latest work in anthologies Cosmic Underground (Cedar Grove Publishing), Scary Out There (Simon Schuster) and Into Painfreak (Necro Publications). Today I have another guest article in the Women in History or Women Making History series to honor Women’s History Month. I’ll be bringing these to you for the rest of March and into April (along with a poetry series). However, Women in History and Women in Horror will basically last all year if I keep getting posts! I hope you enjoying learning about these fabulous women as much as I have been. Your encouragement and shares can really help us show how important women are in our society! The post is by S.K. Rizzolo, a California author who pens wonderful mysteries from the 19th Century. She has some great thoughts and an informative article about a crucial social reformer of the time in Britain, Caroline Norton, but how interesting to learn she was also a poet (and writer of other fabulous things as well). Enjoy! We go on living with things as they are for a very long time. Centuries pass while we remain trapped in the same old, tired, frozen mindsets that cause so much pain, so much injustice. We cannot seem to overturn things as they are. Perhaps this is because many people (hint: often the ones who most benefit) embrace these systems as natural, inevitable, and moral. Such modes of thought are difficult to question, incredibly tough to shatter. Just think of the pernicious attitudes toward women that continue to debase our own society. Women have long struggled to achieve full personhood under a belief system that views them as less worthy, less autonomous, less human. But as the recent #MeToo movement has shown, change is possible, and it often starts with a few voices daring to articulate a new truth and inspiring others to participate. I’m sure that speaking out has demanded immense courage from the women challenging the pervasive reach of the patriarchy. There are always risks involved for those who imagine a new and better way. One thing is clear, however. This new way requires a fresh mindset that breaks the chains of the past. Yes, we look forward. But it seems to me that in the process of reframing the world, using our newly purified perception to form healthier and more just social relations, we must also look to the past and to the women who helped get us here. So today I want to tell you about a foremother who lived in 19th century England, surely an era in which a frozen mindset held many in thrall. It was a time in which respectable women were relegated to domesticity. They were to be selflessly devoted “angels in the house,” while men were free to strive actively for achievements in the public sphere. But neither custom nor law provided for the woman who married a brute or whose marriage crumbled, leaving her without support. Watercolor sketch of Caroline Norton, 1860. Attributed to Mrs. Emma Fergusson. Wikimedia Commons. I like this softer, more intimate portrayal of an older Caroline. Wikimedia Commons. Caroline Norton (1808-1877) was a campaigner and social reformer as well as a poet, novelist, and playwright. Pressured by her mother into marrying a violent drunkard at the age of 19, she became a wife whose husband had the power to abuse her, take her earnings, and ruin her reputation. And she became a mother who was legally deprived of her young children after she separated from this man. To give just two examples of what she faced, her husband—the Honorable George Norton, barrister and M.P—beat her when she was pregnant with their fourth child, causing her to lose the baby. In 1836 George Norton also sued Caroline’s friend, the Whig Prime Minister Lord Melbourne, for a vast amount of money, accusing him of “criminal conversation” or adultery with his estranged wife. Melbourne was acquitted, but the scandal ruined Caroline. And after the trial she discovered that the law did not allow her to obtain a divorce. Although she never regained custody of her three sons because of George Norton’s implacable revenge, this personal tragedy led her to social activism. Her efforts were a huge factor in the passage of the Custody of Infants Act of 1839, which was a first step in establishing the rights to our children that mothers rely upon today. Because of this law, for the first time divorced women (“of unblemished characters”) could petition the court for custody of their children under seven and had rights of access to their older children. Later, Caroline was instrumental in securing the passage of the Matrimonial Causes Act of 1857, which made divorce more accessible. And she helped lay the groundwork for the 1870 Married Women’s Property Act, which allowed married women to retain their earnings and inherit property. All this was possible only because Caroline was willing to challenge the orthodoxies of her time. She petitioned Parliament and Queen Victoria and wrote pamphlets and letters to the newspapers to protest a state of affairs in which “a married woman in England has no legal existence: her being is absorbed in that of her husband.” No legal existence. These words erase the self and sound to me like the slamming of the prison cell door—a door that Caroline found a way to crack open. You can’t exactly call her a “feminist,” though I don’t think the label matters. She was of her time, stating that “the natural position of woman is inferiority to man…I never pretended to the wild and ridiculous doctrine of equality.” In my view, this just shows the power of any era’s prevailing mentality and makes Caroline’s accomplishments the more remarkable. Watercolor sketch of Caroline Norton, 1860. Attributed to Mrs. Emma Fergusson. Wikimedia Commons. I like this softer, more intimate portrayal of an older Caroline. George Hayter’s 1832 portrait of the Honorable Mrs. Caroline Norton. Appropriately, Norton is shown with an open book and pen in hand. She and her two sisters, the granddaughters of the playwright Richard Brinsley Sheridan, were famous society beauties in their day and were known as “The Three Graces.” Wikimedia Commons. Well, I hope we can step across the gulf to honor Caroline and assert that her gift was not in vain, no matter what she thought in any moment of despondency, no matter what cultural, physical, and mental chains her society had forged to bind women. An incurable Anglophile, S.K. Rizzolo writes mysteries exploring the darker side of Regency England. Her series features a trio of crime-solving friends: a Bow Street Runner, an unconventional lady, and a melancholic barrister. Currently she is at work on a new novel introducing a female detective in Victorian London. Rizzolo lives in Los Angeles with Oliver Twist and Lucy, her cats, and Michael, her husband. She also has an actress daughter named after Miranda in The Tempest. Here is the book cover and synopsis to S.K.’s latest book in her series, On a Desert Shore, of which I reviewed a few years ago HERE. London, 1813: A wealthy West India merchant’s daughter is in danger with a vast fortune at stake. Hired to protect the heiress, Bow Street Runner John Chase copes with a bitter inheritance dispute and vicious murder. Meanwhile, his sleuthing partner, abandoned wife Penelope Wolfe, must decide whether Society’s censure is too great a bar to a relationship with barrister Edward Buckler. Visit her on her website where you can also view her books. THANK YOU for a marvelous post, S.K.!! Keep following us for more guest articles about Women in History or Women Making History throughout March and April. The Celebrating Women Series for 2017 continues with article #8 today. If this is the first article you’ve read so far, March was Women in History month and so I’ve been featuring writers and authors who sent in guest articles surrouding women and topics about women. In fact, it’s now extending way past March we’ve had so much interest to feature strong, impactful women. You can find a main page for this with explanation and link to all articles here. I’ll add the articles as I schedule or post them. And if you still want to participate, send an article in! I’m very excited to start this week off with my sweet friend (a truly wonderful person!) and fabulous historical fiction writer Eva Stachniak. Eva lives in Canada and is the award-winning and internationally bestselling author of four novels, several of which are my favorites, and her newest, is soon to add to this list! This newest novel, The Chosen Maiden, is her fifth novel and features the life of Bronia Nijinska, a Russian ballerina – in fact one of the greatest to ever live…but not without fighting for that title. Read on and find out why. The history of Russian ballet is full of extraordinary women, but for me Bronislava Nijinska or Bronia as she was known among friends, is particularly appealing. What drew me to her? First, the tantalizing connection to her beloved elder brother, Vaslav Nijinsky (1889-1950). Known as the God of the Dance, he was one of the best dancers of all times, especially known for his leap and his groundbreaking choreography of Rite of Spring—the one that caused now famous riots in Paris when it premiered on May 29 of 1913. I was also drawn by the powerful strength of her dancing roles in Ballets Russes of Sergey Diaghilev, the legendary impresario who transformed the face of modern ballet: Ballerina Doll in Petrouchkaor the Chosen Maiden in Rite of Spring, a dance Vaslav created especially for her. And last, but not least, I admire her fortitude in the face of obstacles and misfortunes which could’ve crushed anyone less strong and resilient than she was. Growing up alongside her famous older brother meant that Bronia Nijinska had to stand her ground. Like Vaslav she was educated at the world-renowned Imperial Ballet School in St Petersburg. Like Vaslav, she danced at the Mariinsky Theatre in St. Petersburg and then, in 1909, joined the Ballets Russes which revolutionized modern dance and dazzled Paris with their Russian seasons. But whereas he was almost instantly declared a genius, she had to fight for recognition all her life. How did she manage to free herself from Vaslav’s shadow? It helped that Vaslav recognized her talent. He was not only her mentor and teacher, but also readily acknowledged that Bronia was the best interpreter of his choreography. Then the vicissitudes of European history intervened, for the siblings were separated by war and revolution. Vaslav never returned to Russia, and by the time they met again in 1921 her brilliant brother’s career (and life) was destroyed by mental illness. In the meantime, during the Russian Revolution and ensuing Civil War, in Kiev, Bronia created avant-garde experimental ballets which inscribed her name in the history of modern dance. And after her escape from the Soviet Union she became one of the very first female choreographers employed by a ballet company—for Sergey Diaghilev hired her as a choreographer in 1921. This is where she created her masterpieces: The Wedding, Les Biches or Le Train Bleu (for which Coco Chanel designed costumes). All of them achievements that are truly extraordinary. Caption: A painting by Vadim Meller inspired by Bronia NIjinska’s modern ballet, Mephisto, that she created during her time in Kiev. However, it was not only Vaslav’s shadow Bronia Nijinskahad to free herself from. She had to stand up to the misogyny of the ballet world, all her life. When she was a young ballerina at the Mariinsky in St. Petersburg she was faulted for her too strong and muscular body, her “un-ballerinalike” looks, her “too high” jumps. Then, in the Ballets Russes, she saw how male dancers and choreographers ruled supreme while women were mostly given supportive or transient roles. When, after her escape from Soviet Russia, she re-joined Ballets Russes, the same Sergey Diaghilev who hired her could not stop himself from telling her: “Oh, Bronia, what a great choreographer you would’ve been if only you were a man.” Yet, despite these obstacles, she had a long career as a dancer, choreographer and teacher, both in Western Europe and the US where she emigrated in 1939. Caption: An arrangement from Les Noces (The Wedding) Nijinska choreographed in 1923. Music by Igor Stravinsky. Where does it come from, such strength, such resilience? From early childhood Bronia Nijinska knew dancing was her vocation. She placed the art of ballet in the center of her life and never veered from it. But love of art would not have been enough to sustain her, not without the fierce support first of her mother, Eleanora, and then her daughter, Irina. The evidence of their loving, nurturing relationship is beautifully documented in the archival materials of the Bronislava Nijinska Collection, at the Library of Congress. Dairies, letters, and snapshots of family life show how the three generations of the Nijinsky women, grandmother, mother and daughter, stood by each other through thick and thin all their lives. This female solidarity gave Bronia the inner strength to be an artist, rooted her, and, in the end, shaped her who she was. 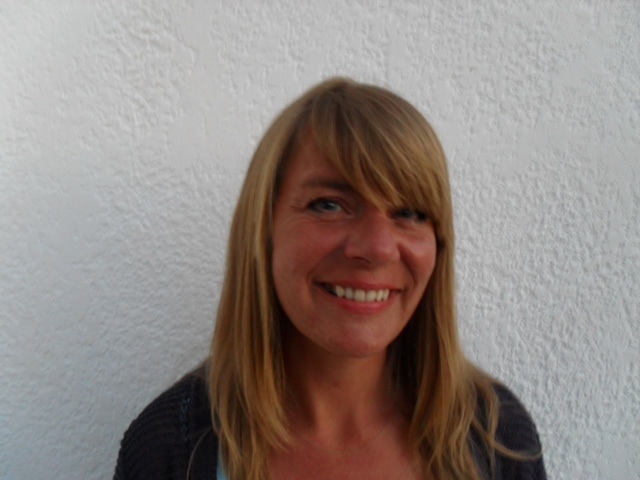 Eva Stachniak is a writer of historical fiction. Her latest novel, The Chosen Maiden, was inspired by the art and voice of Bronia Nijinska. She lives in Toronto. Find more out about her and her fabulous books on her website. The passionate, sweeping story of Bronia, an extraordinary ballerina forever in the shadow of the legendary Nijinsky–Russia’s greatest dancer and her older brother. Born on the road to dancer parents, the Nijinsky children seem destined for the stage. Vaslav is an early prodigy, and through single-minded pursuit will grow into arguably the greatest–and most infamous–Russian ballet dancer of the 20th century. His talented younger sister Bronia, however, also longs to dance. Overshadowed by Vaslav, plagued by a body deemed less than ideal and struggling against the constraints of her gender, Bronia will have to work triply hard to prove herself worthy. Bronia’s stunning discipline and mesmerizing talent will eventually elevate her to the highest stage in Russia: the prestigious, old-world Mariinsky Ballet. But as the First World War rages, revolution sparks in Russia. In her politics, love life and career, Bronia will be forced to confront the choice between old and new; traditional and groundbreaking; safe and passionate. Through gorgeous and graceful prose, readers will be swept from St. Petersburg and Kiev to London and Paris and plunged into the tumultuous world of modern art. Against the fascinating and tragic backdrop of early 20th century Europe, and surrounded by legends like Anna Pavlova, Coco Chanel, Serge Diaghilev and Pablo Picasso, Bronia must come into her own–as a dancer, mother and revolutionary–in a world that only wishes to see her fall. Purchase on Amazon and other major online retailers and stores nationwide in Canada and the United States. The author M.J. Neary offers a book called Never Be at Peace, which surrounds the Irish uprising against the British on Easter 1916. Today, she is featured here with an interesting article about how people viewed a non-Irish person writing about a major Irish historical happening. Take a look and then view her book and author bio below. I’ll be back around with a review later this month! As every other young author, I kept hearing the same advice: “Write what you know.” But what you know is not necessarily what you grew up with. Five novels later, if I could have a penny for every time someone asked me why a Russian-Polish continental Euro mutt like me would write about Irish history, I wouldn’t need a day job. Over the course of my Celtic adventures I have discovered that the Irish as well as Irish-Americans split into two categories: those who are very welcoming and eager to share their culture with the world, and those who are rather defensive and hostile towards outsiders. I guess same can be said for all people who have a strong sense of ethnic identity. When I signed up for an Irish language course in college, my professor, a Dubliner no less, said to me, “I think are n the wrong place. Eastern European women’s studies are down the hall. This class is for Irish-Americans who want to learn about their heritage.” It’s a miracle he didn’t call me a bloody communist. Thank God I did not have a cup of coffee in my hand, because it would have ended up all over his shirt. I continued with his class and had the best Gaelic pronunciation. By the end of the semester, I was his favorite student, though he was reluctant to admit it. One common misconception that has been a source of great frustration for me is that you need to be ethnically Irish in order to write about something as sensitive as the Anglo-Irish conflict. My college professor held that belief. He gave me an A, but he discouraged me from writing fiction set in Ireland, because “it just wouldn’t come out authentic.” According to him, you have to be born there, or at least have parents who were born there, in order to fully understand the melancholic long-suffering collective Irish soul. What a bunch of elitist boloney! It’s like saying that white people should not attempt to play jazz, or non-Jews should not attempt to write about the Holocaust. I believe that being a genetic outsider gives me a certain advantage, that of healthy detachment and objectivity. There are benefits to embracing a cultural tradition as an adult on your own accord as opposed to being born into it. One benefit is that you cannot be accused of taking sides and spreading propaganda. As a historical novelist, I do not engage in propaganda or apologetics. That would make me a politician, and that’s the last thing the world needs. I can always throw my hands up and say, “Hey, don’t look at me. I’m just a dumb communist Polack. This is my impartial view of another country’s past.” With the 100th anniversary of the Easter Rising in Dublin just around the corner, there is a great deal of revising and reevaluating happening. Truth be told, I am no stranger to the idea of nationalism. Growing up, I was exposed to a fair amount of it at home. My biological father was a Polish nationalist, who had perceived Russia as Poland’s cultural and political oppressor. Like his Irish counterpart Patrick Pearse, whose speech inspired the title for “Never Be at Peace”, my father believed in the power of a good spectacle, the bloodier and messier the better. He believed that if you cause enough commotion on the streets in the name of your Cause, that’s half the battle already. Winning is not required. Victory in a military sense would be the cherry on top. Attracting attention is good enough. You cause a skirmish, and that will automatically put you on the map. It will give you credibility, and your enemies will know that you mean business. While I retain considerable amount of admiration for my biological father, I harbor no illusions about his motives. Was he really fighting for the interests of an oppressed nation, or was he merely fighting for limelight? I’ve grown to realize that nationalism in various countries unfolds according to the same formula. You just need a bunch of eager barricade-climbers. Many of them don’t understand what they are fighting for. They love the idea of being martyrs for a noble cause. I can write about Irish rebels, because I’ve seen that euphoric fanatical light in my own father’s eyes. Unlike Patrick Pearse, my father survived his flirtation with martyrdom. still alive. He was not shot on the barricades or executed by the authorities. Now he looks back on his escapades with a mixture of nostalgia and embarrassment. Had he been born in Ireland at the turn of the century, his fate might have been different. So yes, I feel qualified to write about the Easter Rising of 1916, because I believe that I have enough insight into the psyche of a revolutionary. Here’s the author, red hair and all….I mean she has red hair, doesn’t that qualify? A pugnacious orphan from a bleak Dublin suburb, Helena Molony dreams of liberating Ireland. 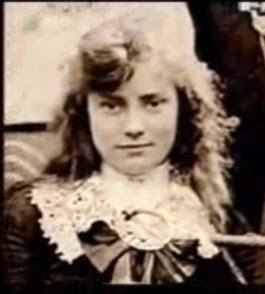 Her fantasies take shape when the indomitable Maud Gonne informally adopts her and sets her on a path to theatrical stardom – and political martyrdom. Swept up in the Gaelic Revival, Helena succumbs to the romantic advances of Bulmer Hobson, an egotistical Fenian leader with a talent for turning friends into enemies. After their affair ends in a bitter ideological rift, she turns to Sean Connolly, a married fellow-actor from the Abbey Theatre, a man idolised in the nationalist circles. As Ireland prepares to strike against the British rule on Easter Monday, Helena and her comrades find themselves caught in a whirlwind of deceit, violence, broken alliances and questionable sacrifices. In the words of Patrick Pearse, “Ireland unfree shall never be at peace”. For the survivors of the Rising, the battle will continue for decades after the last shot had been fired. A Chernobyl survivor adopted into the world of Anglo-Irish politics, Marina Julia Neary has dedicated her literary career to depicting military and social disasters, from the Charge of the Light Brigade to the Easter Rising in Dublin. Her mission is to tell untold stories, find hidden gems and illuminate the prematurely extinguished stars in history. She explores human suffering through the prism of dark humor, believing that tragedy and comedy go hand in hand. Her debut novel Wynfield’s Kingdom: a Tale of London Slums appeared on the cover of the First Edition Magazine in the UK and earned the praise of the Neo-Victorian Studies Journal. With the centennial of the Easter Rising approaching, she has written a series of novels exploring the hidden conflicts within the revolutionary ranks. 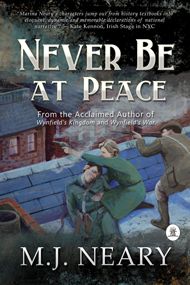 Never Be at Peace: a Novel of Irish Rebels is a companion piece to Martyrs & Traitors: a Tale of 1916. In my experience, when it comes to certain relationships we’re very often put in boxes. We’re expected to behave and think in a certain way according to our role. Of course over time expectations change, alongside the societies we live in. Take us women, for example. Once of a day we were simply expected to manage the home, support our men and raise our children. Not that any of these tasks were, indeed are, ever all that simple! However, thanks to changing times being the perfect homemaker is no longer our sole responsibility. We’re now expected to bring home at least some of the bacon on top of everything else; apparently multi-tasking is something we’re good at. Naturally, I don’t think this is a bad thing. The contributions we women make are just as valid outside of the home as they are inside. And women have fought hard for us to gain the rights we enjoy today. But wouldn’t it be fun to be able to fly in the face of what’s expected of us just once in a while? I mean, imagine our colleagues’ faces if we turned up at the office wearing a onesie; Or if we decided to give up the day job completely as well as the household chores, in favour of setting up a new world religion. That’s why it’s fun to be a fiction writer. If we so choose, we can write characters who for whatever reason feel able to do and say many of the things we, in reality, probably wouldn’t. Our characters can disregard all things conventional – albeit, in a way that’s completely understandable considering their histories and personalities. But when it comes to penning our stories, we as writers can blur the lines of who our relationships dictate we be too. Take me as a mother of two sons. One of them waits until my novels are a bone fide book before he opens the first page; the other gets a little more involved in the writing process. He tells me what’s working, what’s not quite on the page in the way I might think it is and I have to say he’s an excellent spell checker. But whatever role my children do or don’t take, in reading my work at whatever stage they have the opportunity to see me outside of the box that our relationship puts me in. It enables them to learn a bit more about the way I tick not just as their mother, but as an individual in my own right. 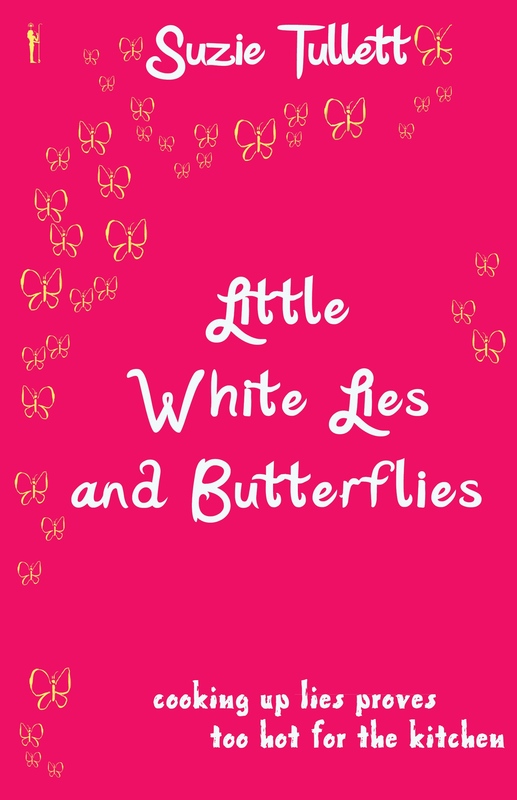 A child of the nineties, Lydia Livingston is different. The last thing she’s ever wanted is to be superwoman; she knows first-hand that ‘having it all’ isn’t everything it’s cracked up to be. As far as she’s concerned, when it comes to job versus family, it’s a definite case of one or the other. And whilst most women her age have spent years climbing the corporate ladder, she’s made a career out of bagging her perfect man. At almost thirty and still single, Lydia wonders if she’d made the right choice all those years ago. And realising the time has come to take stock, she goes against her family’s wishes and banishes herself off to a distant land- all in the hope of finding a new direction. But Lydia Livingston isn’t just different, she’s misunderstood. A fact she knows all too well. So when the totally unsuitable Sam comes along, she decides to tell a little white lie, re-inventing herself as a professional chef- not exactly the best new identity to come up with for a woman who can’t even cook. Of course, the last thing she expects is for him to find out the truth and start blackmailing her. Let alone find herself roped into catering for a local wedding. But with things going from bad to worse, her madder than mad family also turn up in something of a surprise visit, intent on celebrating a birthday she’s no intentions of celebrating!